We believe daily nutrition is important to enrich and lengthen the special relationship you have with your pet. The right nutrition can transform the life of your dog or cat. Our full range of trusted pet foods can help you address a variety of common health needs. Check with your vet regularly to make sure your pet is getting the nutrition he needs. 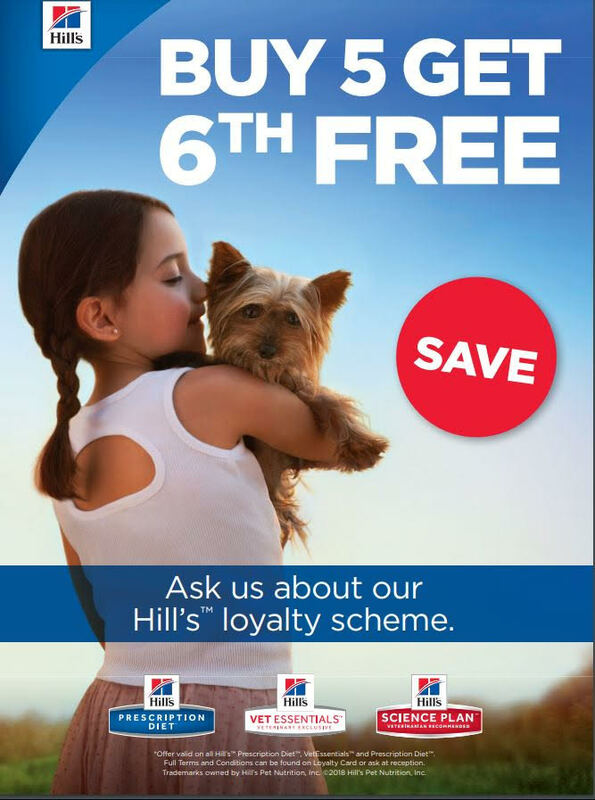 Ask us about the Hills loyalty card scheme. Clients on our Wellness plan receive 15% discount on all products and services. Call 0191 2841711 – 24 hours a day.